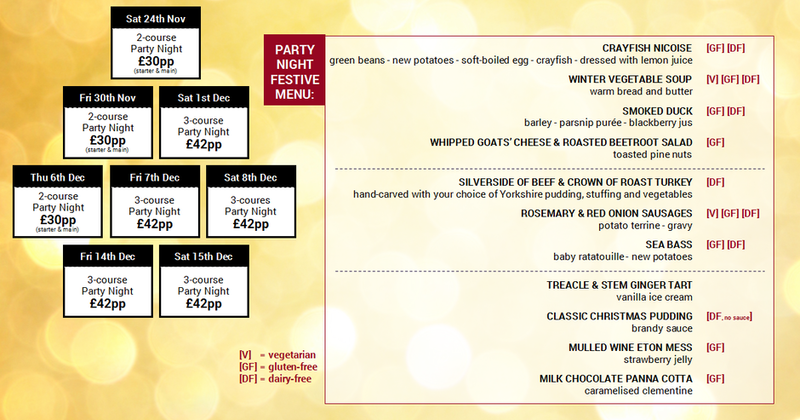 This is our Festive Menu, available for all three- and two-course Party Nights. It shows which dishes are suitable for guests with special dietary requirements. To return to the Christmas page please click here.